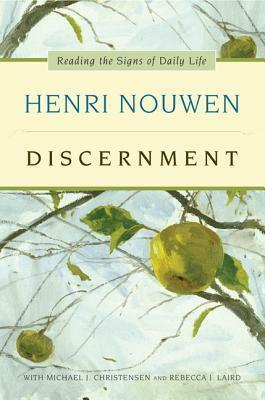 Discernment: Reading the Signs of Daily Life features the wisdom that spiritual leader and counselor Henri J. M. Nouwen brought to the essential question asked by every Christian and seeker: What should I do with my life? Nouwen emphasizes listening to the Word of God--in our hearts, in the Bible, in the community of faith, and in the voice of the poor as a way to discern God's plan. Although the late Henri J. M. Nouwen counseled many people during his lifetime, his principles of discernment were never collected into a single volume. Now, in association with the Nouwen Legacy Trust, Michael Christensen--one of Nouwen's longtime students--and Rebecca Laird have taken his coursework, journals, and unpublished writings to create this and other books in the series exploring God's will for your life. Henri Nouwen, the world-renowned spiritual guide and counselor, understood the spiritual life as a journey of faith and transformation that is deepened by accountability, community, and relationships. Though Henri counseled many people during his lifetime, his principles of discernment were never collected into a single volume. Now, in association with the Nouwen Legacy Trust, Michael Christensen--one of Nouwen's longtime students--and Rebecca Laird have taken his coursework, journals, and unpublished writings and created the definitive resource on spiritual discernment. This is the third book of a series. Spiritual Direction explores our core questions about the spiritual life as Nouwen acts as spiritual director, opening the door to personal transformation. In Spiritual Formation, Nouwen offers guidance on spiritual development--as dynamic movements from fear to love. In this final book, Discernment, Nouwen teaches us how to read the "signs of the times" in daily life in order to make decisions that are ultimately guided by God. Nouwen emphasizes listening to the Word of God--in our hearts, in the Bible, in the community of faith, and in the voice of the poor. Nouwen's thoughts on discernment begin to answer one of the biggest questions we face: what should I do with my life?